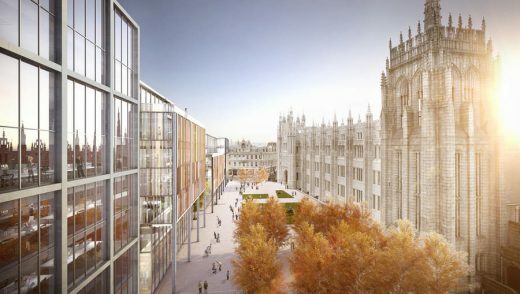 Henry Boot has reached an unconditional agreement with Aberdeen City Council for its new exhibition and conference centre, allowing Robertson Group to start work on this major new project. 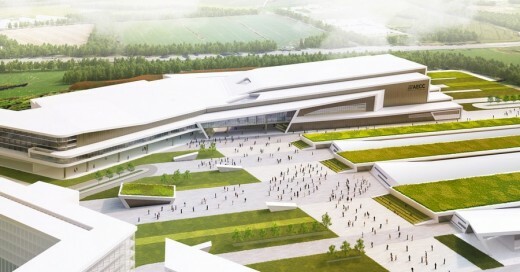 The Aberdeen Exhibition & Conference Centre (AECC) building , which will be funded by the council, received detailed planning permission at the end of 2015. 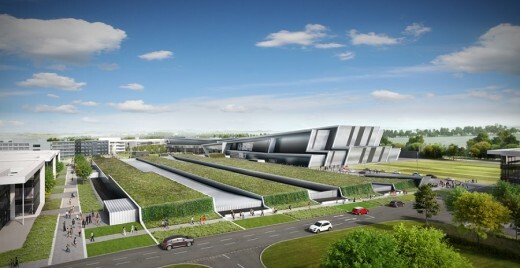 Located on the 130 acre former Rowett Research Institute site adjacent to Aberdeen International Airport, the scheme will include a 12,500 capacity performance venue, extensive covered exhibition halls, a four-star 200 bed hotel to be operated under the Hilton Hotels brand together with an energy centre and 2,500 parking spaces. Main contractor Robertson Group has commenced work on site and development completion is expected in the first half of 2019. The Robertson contract will entail site preparation works, including ground and infrastructure works, as well as building the new arena and conference centre and one of the three on-site hotels. The new Aberdeen Exhibition and Conference Centre development is now due to be completed in Spring 2019. 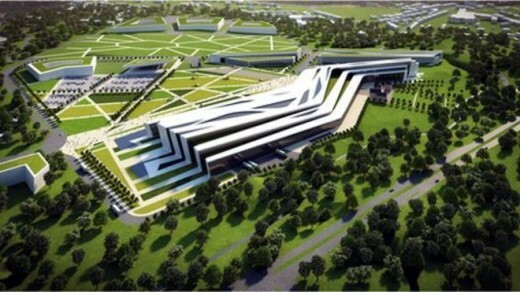 The £333 million AECC in Bucksburn was originally expected to be completed in late 2018 but the project was delayed. 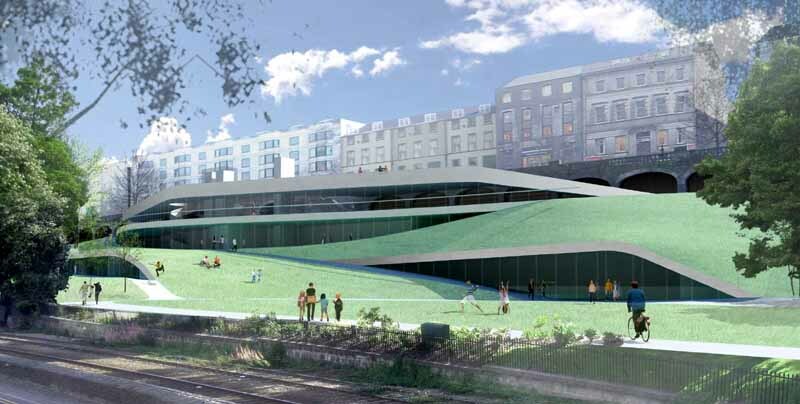 Construction is scheduled to begin this July after Aberdeen City Council buys the land. 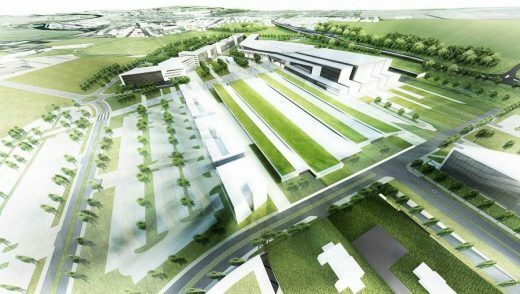 The new exhibition centre building will replace the existing AECC at Bridge of Don, which is set to become a recycling facility. 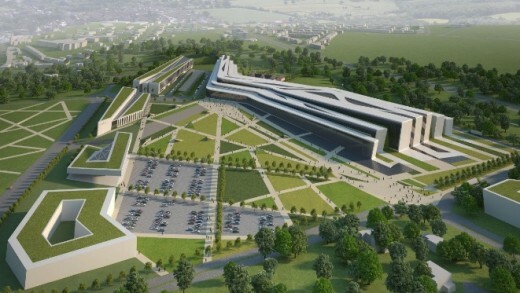 Aberdeen City Council spends around £1.3m subsidising the current AECC annually but says the new development will cost it just £100,000 per year. It is claimed an extra 31,000 business tourists to the area each year, who they claim will contribute £11m to the economy. 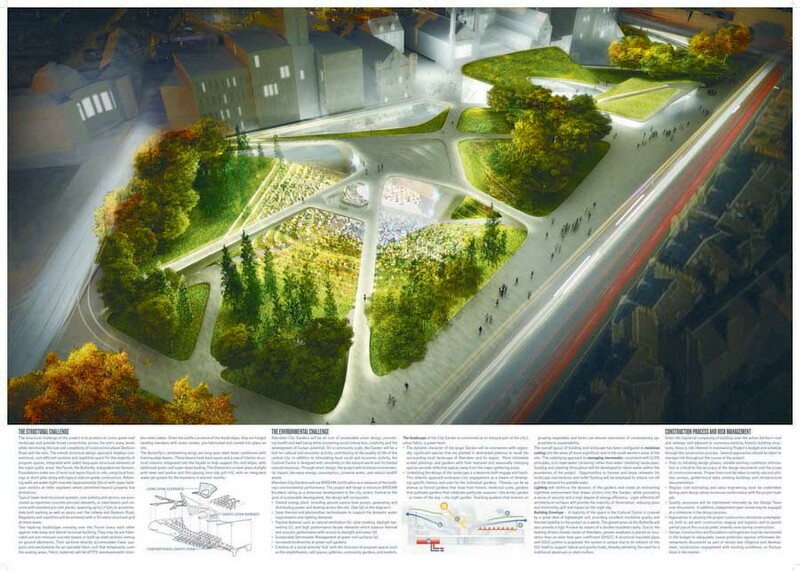 Plans to build a £333m exhibition and conference centre in Aberdeen have been approved by councillors. 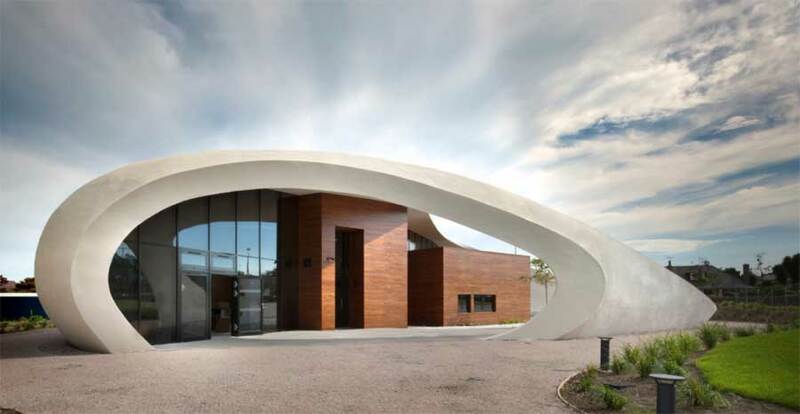 The developer is Henry Boot and the architects Keppie Design. The new Aberdeen Exhibition and Conference Centre will quadruple the exhibition space and more than double the seating capacity of the existing centre in addition to providing a 200-bed hotel and energy centre on the site of the Rowett Research Institute at Bucksburn. 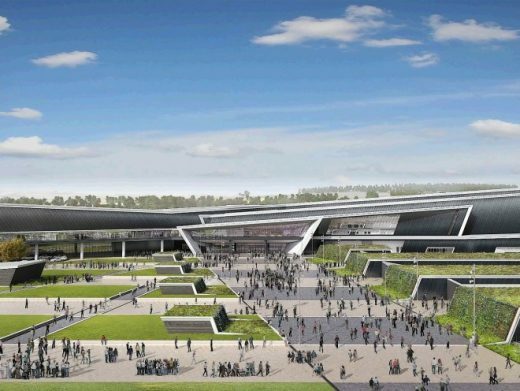 Leading architectural practice Keppie Design has been appointed as architect for the new state-of-the-art Aberdeen Exhibition and Conference Centre (AECC). 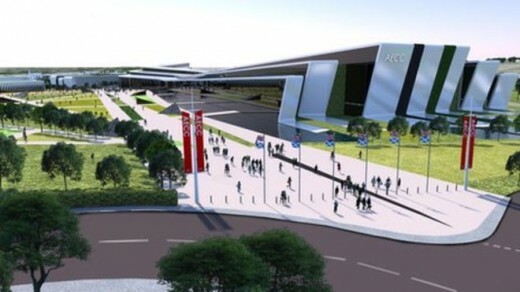 Aberdeen City Council has recently approved the financial proposals for the development of the new AECC as well as the redevelopment of the site of the existing conference centre. Councillors backed the £333m project – a joint venture between the Council and Henry Boot Developments – at a full council meeting recently. 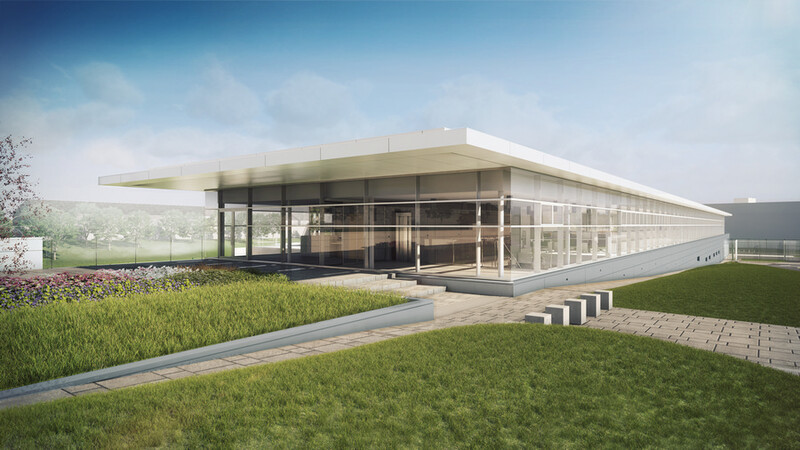 Keppie Design Ltd has been selected by Henry Boot Developments as part of the multi-disciplinary team which will deliver the proposed new conference centre at Bucksburn, next to the Rowett Institute, and redevelop the Bridge of Don site which will be vacated once the existing AECC closes. 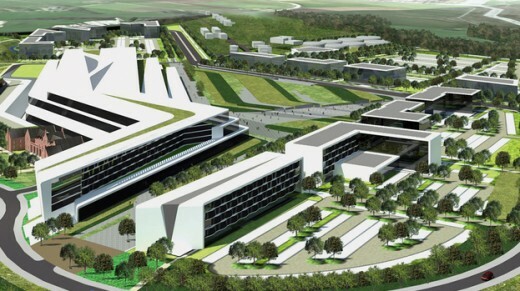 The new conference centre will form part of the wider development of the Rowett North Masterplan, just south of Aberdeen International Airport. The masterplan also includes three hotels, an energy centre, an estimated 60,000 square metres of office space and 6,000 square metres of leisure space and open space, parkland, public realm, access routes and car and coach parking. 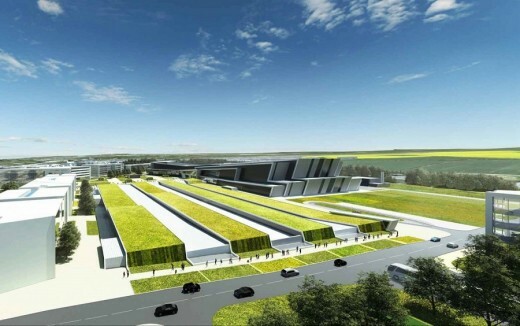 Nick Harris, Henry Boot’s Scottish director, added: “The new AECC facility is a vital element of Aberdeen’s future growth and development, not least as a World Energy City and the Energy Capital of Europe. 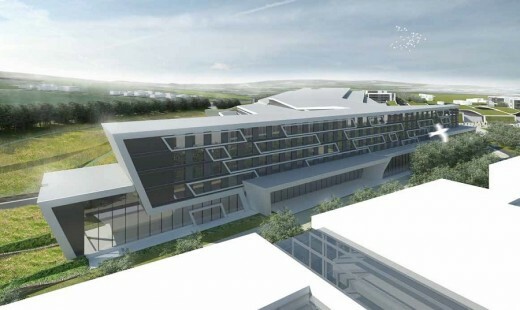 Therefore, the new conference centre and associated facilities will be developed with the ambition to make it the most sustainable facility of its kind in the UK. 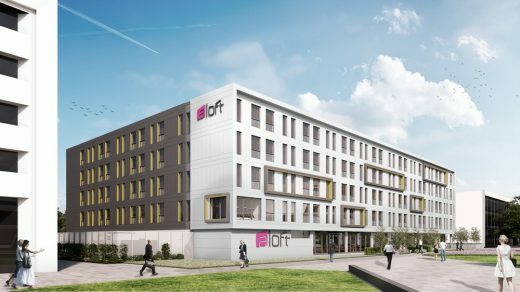 “That is, of course, a tall order but one that we are confident we can meet – especially in conjunction with the project team that we have assembled here.